The school determines the Nursery Admissions Policy. This policy only applies to Nursery admissions. Attendance at our Nursery does not guarantee a place in Reception; the two admissions procedures are independent of each other. Parents of children who are allocated a place at our Nursery will need to reapply for a school place in line with the Reception Admissions Policy which is coordinated by Hertfordshire County Council. 4 February 2019 – Nursery applications open. Please refer to the individual school websites for information about their oversubscription criteria. If you wish to make an "in-year" application to start Nursery with us before September 2019, we can accept applications for Nursery places at any point during the school year, for children who were born between 1 September 2014 and 31 August 2015. To apply, please complete the online application form and then call the school office on 01442 871231. If you want to apply for a Nursery place for September 2019 as a late applicant, please complete the online application form and if you are requesting 30 hours free childcare, you will need to complete an additional application form for a 30 hours place. Each academic year the school will admit up to 30 places for morning Nursery sessions, starting September 2019, for children born between 1 September 2015 and 28 February 2016 and up to 30 places for afternoon Nursery sessions, starting January 2020, for children born between 1 March 2016 and 31 August 2016. Depending on the number of applicants, children born between 1 March and 31 August in September may be able to take up their afternoon Nursery places from September 2019. We will be able to confirm this by May 2019 at the latest. If you have any queries, please contact the school office on 01442 871231. We would prefer that children attend Nursery sessions 5 days per week, but we recognise that this is not practical for all families and so will consider part-time attendance (i.e. less than 15 hours per week/less than 5 days per week). As a minimum we ask that the children attend Nursery for at least 3 morning or 3 afternoon sessions per week (timing of the session being dependent upon when their birthday falls). We will consider applications for less than 3 sessions, depending on an individual family’s circumstances. If families taking up 30 hours’ free care with us want to extend their child’s day, they can pay for additional wraparound care (see below). To secure a 30 hours’ place, we ask families to take up at least 18 hours of care with us a week, over at least 3 days (i.e. the equivalent of 3 full days). Subject to availability, we may be offer 30 hours’ places to families wishing to take up less than 18 hours’ care. Nursery age children cannot attend the Rialize After School Club (which runs from 3:00pm-6:00pm), but can attend Rialize Holiday Club. Children with EHC (Education, Health and Care) Plan or a statement of Special Educational Needs which names the school will be allocated a place, the latter in accordance with section 324 of the Education Act 1996. If more children qualify under a particular rule than there are places available, a tiebreak will be used by applying the next rule to those children. If more children qualify under criterion 3 than there are places available, priority will be given to those who live nearest the school as measured in a straight line, using a distance calculator. Where there is a need for a tie-breaker where two different addresses measure the same distance from the school, in the case of a block of flats for example, the lower door number will be deemed nearest as logically this will be on the ground floor and therefore closer. If there are two identical addresses of separate applicants, the tie break will be by random allocation. Nursery provision is non-statutory and there is no right of appeal against refusal of a place. Attendance at our Nursery does not guarantee a place in Reception; the two admissions procedures are independent of each other. Parents of children who are allocated a place at our Nursery will need to reapply for a school place in line with the Reception Admissions Policy. Children looked after by the local authority, including children who were previously looked after but were then adopted (or became subject to a child arrangements order or a special guardianship order). Adopted children must have been previously looked after by an English or Welsh local authority. Children who were not looked after immediately before being adopted, or made the subject of a child arrangement order or special guardianship order, will not be prioritised under this rule. Evidence needed – please include a letter or document from your child's social worker, advisory teacher or other professional as evidence. children looked after or previously looked after. This doesn't include children temporarily living in the same house. For example, a looked after child in a short term foster or bridging placement. In every case, the sibling must be living permanently in the same family home (at least Monday to Friday). A sibling must be on the roll of Bridgewater School, or have been offered and accepted a place, at the school at the time of application (and when the applicant starts Nursery). The school will consider prioritising applicants where it can be demonstrated that the child has a particular social or medical need to go to the school. A panel of staff and governors will determine whether the evidence provided is sufficiently compelling to meet the requirements for this rule. The evidence must relate specifically to Bridgewater School and must clearly demonstrate why it is the only school that can meet the child’s needs. 3. 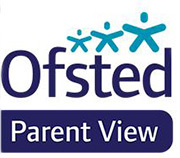 Recent objective evidence establishing the parent’s, carer’s or child’s social or medical need to attend the school (this may be from a GP, educational psychologist, social worker, police officer or other professional) or relevant family circumstances. 1. Social and medical need applications will only be considered at the time of initial application, unless there has been a significant and exceptional change of circumstances within the family since the initial application was submitted. Information received after the closing date will only be considered if there is a significant change of circumstances. 2. All Hertfordshire Local Authority schools are able to work with children with special educational needs and severe medical needs. It is therefore unlikely that applications on these grounds alone will succeed in demonstrating that only Bridgewater Primary School can meet the child’s needs. 4. Applications on the basis of domestic arrangements, for example child care arrangements, will NOT succeed without evidence supporting compelling social and medical reasons.